Get A Plumber Estimate Now! We have plumbers always 24/7 ready to rescue during your emergency needs. We have specialized plumbers for your plumber's problem. If you’re looking for a top rated plumber in Los Angeles, we’ve got you covered. Our team of highly trained plumbers will come directly to your location and provide you with a free estimate. We take pride in giving our customers the best quality service at affordable rates. Most plumbing companies will charge you to simply quote you. Plumbing emergencies can strike at any time. That’s why we’re available around the clock. We try to get a plumber out to your location within 2 hours, even if it’s past midnight. Our team can handle all types of plumbing needs from toilets, kitchen sinks, flooded showers, sewer lines, basement water heaters and much more. Unlike other plumbing companies, we use the highest quality parts to ensure that your plumbing problem doesn’t happen again. Finding the best Los Angeles plumber contractor can be a hard decision, but we make it easy by giving you a free in-home estimate. Get the lowest prices on plumber services near me. 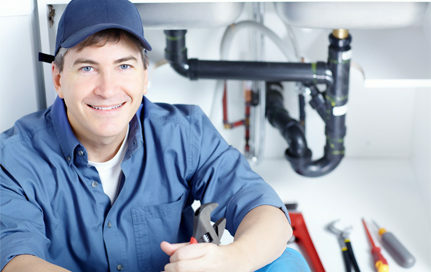 Finding Affordable 24/7 Emergency Plumbing Service In West Los Angeles is very hard to find. Find the best emergency plumbing company at Emergency Plumber Finder. We also offer commercial plumbing for both small and large businesses. No job is too big or too small for our team. Call us today at (323) 329-6211 for a free plumbing estimate! Whether it’s a simply drain clog that’s backing up your sink, or you’ve noticed a strange smell around your yard above where your septic tank ought to be, we understand that plumbing problems can happen at any time of the day or night. Unlike people, plumbing problems don’t run on a schedule, which is why 24/7 Response Plumbing is here. Not only are we on 24/7 watch for plumbing problems, but we take pride at reaching our customers fast and providing quality service to our customers. Regardless of the time of day or night, we will always try to get a plumber to your location within 2 hours or less. No job is too big or too small for our professional plumbers. We take pride in our five-star ratings and you can count on us to give you that same level of service, no matter what you need us to fix. With the knowledge and expertise that our plumbers have, you can also count on them to know the best materials and tools for the job, making sure that your problem is not only fixed, but that it doesn’t happen again. Whether it’s floor drains, sewer lines, septic tanks, sump pumps, we do it all. And thanks to modern technology, we can even perform video camera inspections of your plumbing and do trenchless sewer repair. We care about our customers and understand that a plumbing problem is already stressful enough. These things eat away at your schedule and wallet. You don’t have to worry about the costs of simply asking us to assess the situation. We offer 100% free no-obligation plumbing quotes! We believe in making plumbing affordable because we know how much you value your home or business property. That’s right, we do both residential and commercial plumbing! Time is of the utmost importance when it comes to plumbing problems. When a plumbing problem is left standing, even a small leak can lead to thousands of dollars of damage. Consider some of these common plumbing issues and how to spot them. If you find any of these or suspect that they’re happening, call 24/7 Response Plumbing to assist with fixing it. Read on to see how fixing these promptly can save you money, time, and a lot of hassle. Whether it’s your sink that’s draining a lot slower than it should or your shower is starting to fill up to your ankles instead of draining quicker, you might have a clog building up in your drains. These can usually be fixed by some plunging, a plumbing snake, or some chemical clog remover. But if the problem persists, you may need a professional plumber to help fix the problem. Using too much chemical clog remover can lead to damaged pipes, which reduces the life span of your pipes before corrosion leads to leaks. And leaving a clog to build up will eventually lead to a full backup of your sink or shower drain. Not only is this inconvenient, but a clog can also become a breeding ground for bacteria. A fully clogged drain can be a burden on your time and also potentially a danger to your health in the long run. If you are unsure of how to use any of the common remedies for this issue, call 24/7 Response Plumbing and we can help! It’s the bad kind of surprise when your hot shower suddenly goes cold. Once the shock and discomfort subsides, you realize that something bad has happened to your water heater. It could be the pilot light isn’t working properly. It could just be the thermostat. Or maybe your water is heating just fine, but you’ve noticed that something’s off with the color of your water. Is it looking a little rusty in color? Your water heater tank might be experiencing bad corrosion. And if your water tank is experiencing corrosion, changes are eventually your water tank will experience a leak or rupture. This would require a professional plumber to assist with removing the ruptured tank and replacing it. But what if there’s a weird smell to your water? Does it smell like rotten eggs? You should be careful because that means your water tank may have bacteria growing into your water heater. It could mean that your water heater is not hot enough to kill off that bacteria. One bacterium that can grow in water heaters is the bacteria responsible for Legionnaires’ disease, otherwise called Legionella Pneumonia. While normally your immune system can fight it off, if your immune system is weakened or otherwise compromised, the disease can be potentially fatal. Whether you want a check up on your water heater, or you see (or smell) a clear problem with your shower water, don’t hesitate to call upon our professional plumbers. Fixing a water heater not only saves you trouble, it can prevent dangers to your personal health. Does your toilet make weird sounds when you’re not even using it? Does it sound like its tank is filling even though you haven’t flushed it recently? You may have a running toilet. Every time you hear that sound, that’s water being wasted and lost. It also means that your water bill is getting a little bit higher. Did you know that a running toilet can waste up to hundreds of gallons in just a day? There are several reasons as to why your toilet is running. It could be that your flush valve seal is warped or has gone bad, and it just needs a quick replacement from your hardware store. But it could also mean that you have a leak somewhere around your toilet. Check around your toilet as well as around its base. Do you see any water pooling or drip-dropping? Is there water trickling down the side of the toilet itself? If you see any of these signs, you may have a leak then. It is highly recommended that you can in a professional to help assess where the leak’s true source is and have it fixed before it gets worse. Leaks may seem like a tiny problem, but leaks can lead to all kinds of problems for both you and your wallet. Whether it’s an occasional drip-drop from a pipe, or a trickle that’s steadily growing, you don’t want to leave a leak standing. Even a minute amount of water and moisture can lead to problems. For example, a leak within your walls could lead to trapped moisture, which leads to breeding grounds for health-hazardous black mold. Black mold can cause respiratory issues with breathing as well as triggering allergies. What’s more, that moisture can lead to rotting in your house’s wooden infrastructure, which means thousands of dollars in home repairs to replace the infrastructure and remove the black mold. When you call upon 24/7 Response Plumbing to help with your leaks, you’re not only saving yourself time and hassle, but you’re also saving a ton of money that would otherwise be spent on all these costly repairs. All this from a tiny leak. Don’t give leaks a chance! If you suspect that there’s a leak, or if you’ve been noticing your water bill going up recently, call 24/7 Response Plumbing to have one of our professional plumbers perform a leak detection. Time is of the essence. It is just as important to have regular plumbing maintenance done as it is to have a plumbing company that can respond to your call at any time of the day or night. Call us to schedule a leak detection to make sure your residence or business is in tip-top shape! Or if you know you have a plumbing problem that you need taken care of, we’re ready for it! Why Choose 24 Hour Plumbing Los Angeles?